From the opener of “Lizzie Borden,” its a truly apt statement, and it also is one of the understatements of the record. A lot of people have taken fondly to “Batches & Cookies,” which features a fierce and fiery verse from Sophia Eris. Elsewhere on the record you also have such cuts as “Hot Dish,” which should silence any critic her way, and lightly touches on the loss of her father, while “Make Way” manages to sound funky as all hell, and one of the few that catches Lizzo singing for the entirety of the track, transitioning between singing and a sing-song-y flow, with a nice chopped-and-screwed-esque hook to boot. 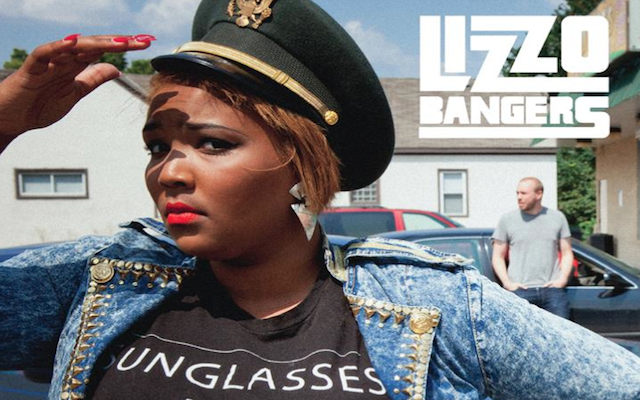 There’s also the trap-influenced meets Drum-N-Bass laden “Faded” where Lizzo has a nice tirade on suckers in general, and is one of the many standouts on Lizzobangers. It’s very difficult to speak of any flaws, especially when you got production from Lazerbeak, who time and again proves to be one of the few standouts as a producer. He definitely provides Lizzo with the creme de la creme, especially with the never-ending drum roll fills on “Lizzie Borden”, and manages to use something simple as a whistle for a backing melody on the smash “Batches & Cookies,” and manages to use grungy guitar notes to make such tunes as “Pants Vs. Dress” sound incredibly funky and catchy on first listen. He also knows when to pull back in the production and vary it to Lizzo’s dynamic delivery techniques, making the 13 tracks that sprawl over a short 40 minutes a very lean and entertaining listen. Overall, again, there’s nary a flaw to be found when it comes to Lizzobangers, and with good reason. Lizzo is quickly proving to be a powerhouse of her own, and matched with Lazerbeak, it helps make Lizzobangers just a really fun listen and varied enough to definitely make folks who are skeptical turn a smirk or a smile, no matter what track it is. Chalk up another one for Queen Lizzo. Buy it from Totally Gross National Product.